Deeper We Fall by Chelsea M. Cameron Cover Reveal! Guys, I am so fricking stoked/excited/buzzed to be able to reveal to you the cover of YA/NA New York Times and USA Today Best-Selling author, Chelsea M. Cameron. Deeper We Fall by Chelsea M. Cameron. Zan is different. He listens to her awkward ramblings. His words are few and far between, but when he does speak, she can’t help but listen. He loves “To Kill a Mockingbird” as much as she does, and his dark eyes are irresistible. The trouble is, Zan was the driver in the accident, and now Lottie’s discovered he lied to her about what happened that night. She must decide if trusting him again will lead to real forgiveness, or deeper heartache. Deeper We Fall is listed over at goodreads, it’s just hanging out, waiting for you to head on over and add it to your TBR list. If you click on the button below it’ll take you straight there, like magic. I just want to say a massive THANKS to Chelsea for letting bookishblurb be apart of her cover reveal. I have the pleasure of Chelsea’s friendship on Twitter and apart from being a Rockstar writer she’s a pretty awesome person. I’m sure she’d love it if you popped on over to her Twitter Page or her Facebook Author Page and let her know what you think of her gorgeous cover… *FYI, don’t mention The Civil Wars break up. If you do, make sure you have plenty of tea and red velvet cake to numb the pain. 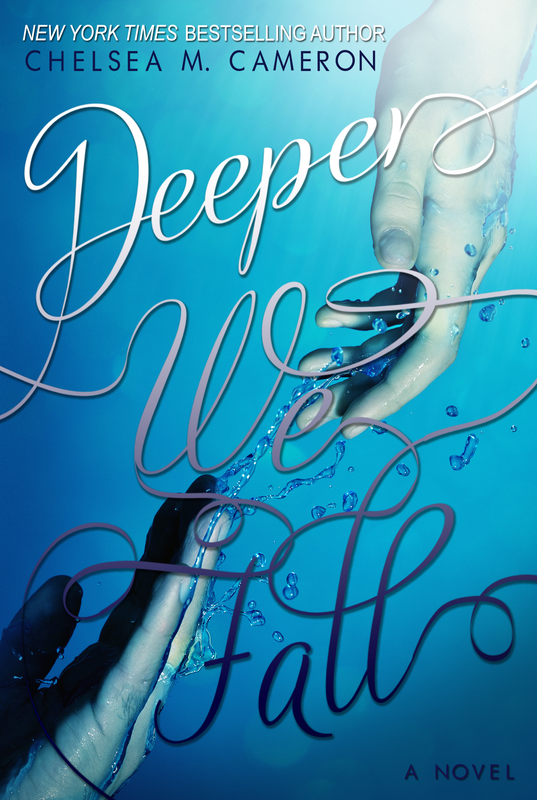 Posted by bookishblurb on December 3, 2012 in Buzz and tagged Books, Chelsea M. Cameron, Deeper We Fall, NA, YA. Wow! What a beautiful cover! The blurb is great, too — suspenseful and haunting. Looks like a good read.